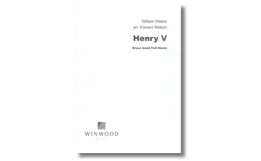 Included are the poignant Death of Falstaff, the victorious Agincourt Song and Touch her soft lips and part – one of the most tender miniatures in all music. 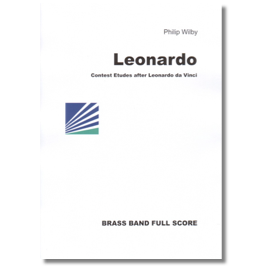 Winwood Music are delighted to bring this music from Laurence Olivier’s classic film to the brass band world in a fabulous arrangement, including optional narrator, by Edward Watson – so idiomatic that you’ll think this is the original version! 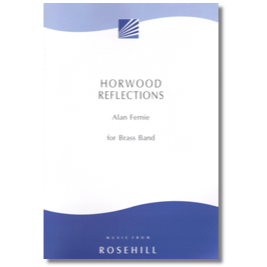 Horwood Reflections is a Scotsman’s impression of England’s ‘green and pleasant land’, and was written as both an affectionate tribute, and an acknowledgement of their influence, to the great English ‘Pastoral’ school of composers including Bridge, Holst, and Vaughan Williams. Perfect for concerts and own-choice contest situations. The idea for this work was prompted by a poem – Hymn Before Sunrise – which describes the majesty of a mountain in darkness, the sounds of a nearby waterfall and so on. Nothing came of the exposure to these pictures except for general thoughts about the dawn of day and a series of movements expressing a personal response to the wonder of creation in an imaginary moment in time. 1. Thanksgiving: A short prelude in two parts. 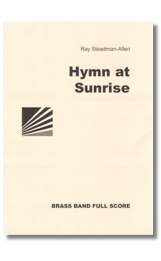 First a brief passage of 'dawn music' before things become more vigorous: fanfare-like music ushers in the trombone section's presentation of the Tallis tune. A broad band version concludes the movement. 2. De Profundis: A slow movement shot through with anxious questionings featuring flugel and trombone. 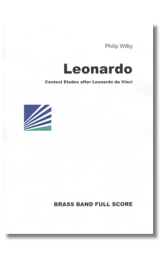 The mood lightens a little in the centre where the soprano cornet is featured and the movement ends serenely. 3. 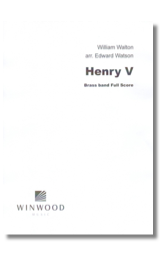 Celebration is characterised by rhythmic drive, this is buoyant with plenty of incident pointed up by the percussion. 4. Invocation: Melodic in nature and sober in mood, the first section is a series of short solos mingled with chorale-like statements. Central to the movement is a chorale-prelude style presentation of the Tallis tune. 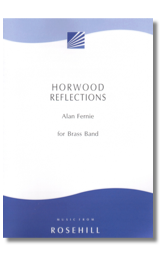 The third section reintroduces the earlier solo music by the full ensemble. Dissolving, the music enters the last movement without a break. 5. Paean: Marked allegro con spirito there is, quite rightly, a fair amount of fun in the rejoicing. 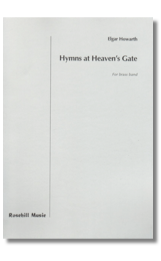 Snatches of Tallis are heard, then comes a gentle passage with a cornet solo leading to fanfare music and recapitulation. Two recitatives are succeeded by a coda which brings the work to a sonorous and exultant conclusion. A flourish: a crowd assembles at the gate of Heaven, saints and sinners. As in a film the immensity of the crowd is illustrated, and the camera zooms to focus onparticular groups and individuals. Monks sing a ‘medieval’ hymn, interrupted by the fanfares of mischievous seraphim; gradually the whole crown join in. The fanfares grow wilder, and grubby, naughty children enter, singing mock fanfares, making jazzy gestures and trying to sing a chirldren’s hymn. They are joined by roughnecks who take up the fanfare idea. The camera zooms again at the entrance of Jesus. A commanding flourish causes consternation. Separate groups react, interrupted by mysterious percussion effects. Then, as the whole panorama explodes in sound, William Booth (founder of the Salvation Army) approaches awestruck. 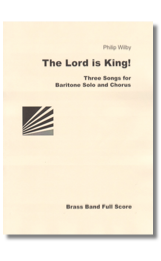 A triple Alleluia is followed by the third hymnand further Alleluias. A dance finale begins using material from the whole piece. A tumultuous climax preceds sudden quiet Alleluias, and the crown exits into Heaven to the music of the monks, reharmonised and transformed. The camera shots extend to the heavens and the stars. 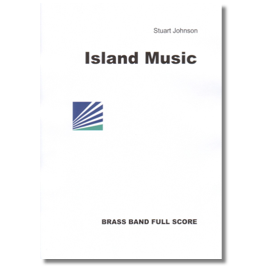 The fourth work for brass band to come from Robert Simpson's pen has enriched the repertory still further. 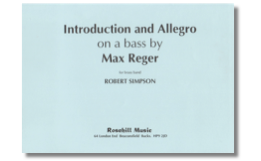 Introduction and Allegro on a Bass by Max Reger was composed between the end of June and the beginning of November 1986 at the request of Howard Snell and was commissioned by the Desford Colliery Dowty band. The Introduction is mainly mysterious and deliberate while the Allegro is full of energy. 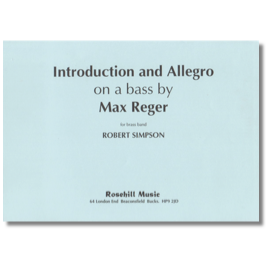 The Bass is question is taken from Reger's Fantasia and Fugue in D Minor, opus 135b, and at one point, near the end of the work, Reger's own treatment of the bass is used. The rest is pure Simpson.  Each of the four movements depicts a different aspect of life on the Isle of Wight, from the Edwardian elegance of Shanklin Town itself to the drama of a great storm which destroyed the magnificent Pier, and the mysterious Tuba on the Downs! 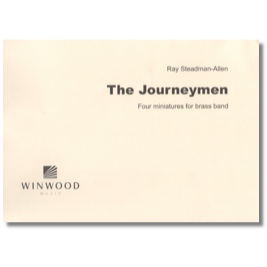 Four Miniatures for Brass Band by one of the most successful composers for the medium. 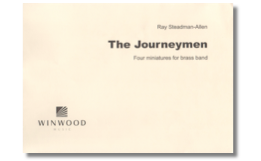 The four movements are preceded by a short fanfare-like introduction. Then come Wayfarer – light and playfully delicate; Pilgrim – broad and flowing with a lively middle section; Sundowner – very relaxed with a gently easy rhythm; and Commuter – the busiest movement bustling along to a grandiozo finale. At his death in 1519 Leonardo da Vinci was the most celebrated artist of his age, but his current celebrity draws much of its potency from his amazingly varied interests in all branches of Renaissance knowledge. Many of his ideas are contained in sketchbooks and Philip Wilby’s work takes a sequence of these as a springboard. They traqnslate his visual studies into purely musical terms, and transform their images, tubulent or intimate, mechanistic or heraldic by turns, into a composition which draws its energy from Leonardo’s great example. 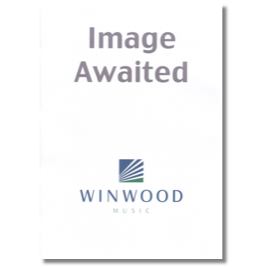 An abridged version of the work – Turba – is also available. The Lord is King! for baritone solo, Chorus, Organ (ad lib.) 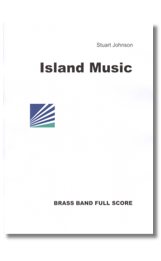 and brass band was ﬁrst performed by the North Yorkshire Chorus with the Grimethorpe Colliery Band in 1999. 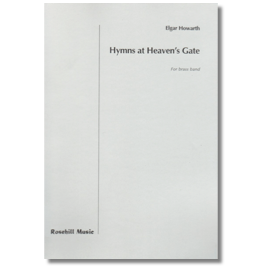 It is also available with solo trumpet and organ accompaniment. 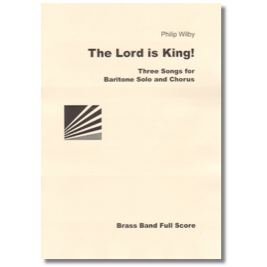 It is made up of three colourful song settings: The Trumpet, Come Down, O Love Divine, and Psalm 96.